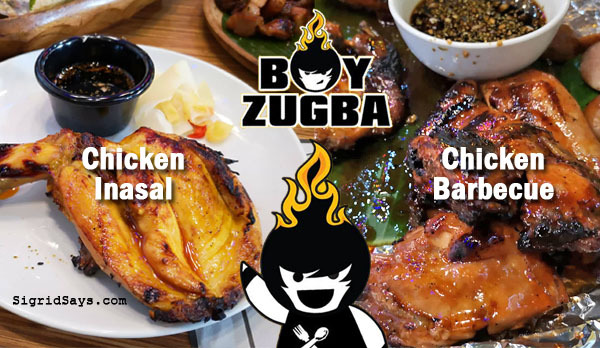 At Boy Zugba Bacolod, they have chicken inasal and chicken BBQ. Take your pick. Located at the 2nd floor of Ayala Malls Capitol Central. 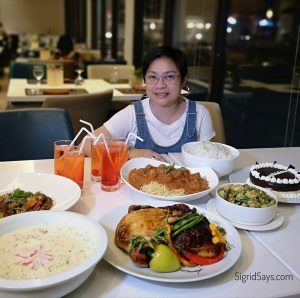 The famous homegrown restaurant in Cagayan de Oro is now in Bacolod City! 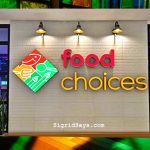 Boy Zugba Bacolod is now open at the 2nd floor of Ayala Malls Capitol Capitol Central with their own style of homecooking Pinoy native dishes. Find out what makes it different and worth visiting. Chicken inasal vs. Chicken barbecue at Boy Zugba Bacolod. Take your pick. The second word in Boy Zugba is a derivative of “sugba”, which literally means “grilled”. 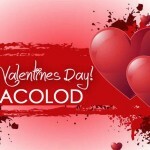 So, Bacolodnons, you shouldn’t be surprised if they also have chicken inasal in their menu. 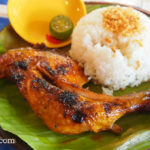 But mind you, this is NOT Bacolod chicken inasal, so don’t fret, ok? 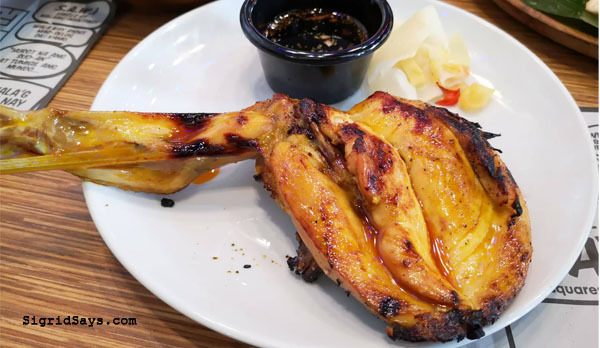 The Boy Zugba chicken inasal is tender, juicy, and flavorful–even up to its meat. It has a kind of a nutty flavor on the outside, which I think is achieved from something in their grilling. Not sure if it’s the marinade because that nutty flavor just coats the chicken and does not flavor the entire slice. Meanwhile, the chicken BBQ is grilled chicken marinated in barbecue sauce. So there lies the difference. It’s also very flavorful, sweet, and tender. The sweet chicken BBQ of Boy Zugba Bacolod. 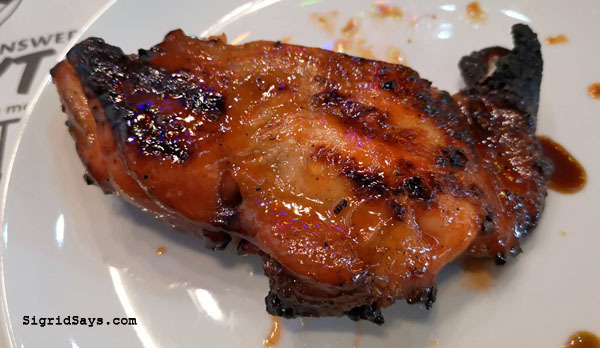 So there’s really no point in comparing their grilled chicken to our Bacolod chicken inasal. They have their own style of cooking and flavors. You know how proud I am of our Bacolod chicken inasal, but these are different. They are also good as well as reasonably priced. So far, I have tried their Sospa. It’s short for “sisig na, salad pa” or something. Actually, it’s an appetizer with cassava crackers at the bottom, some salad greens, and topped with sisig and cheese. It’s a big order that may be shared by 4-5 pax at P248. The sospa. Isn’t it appetizing? Meanwhile, the cassava crackers in sospa is actually what people in Mindanao call Kiping (totally unrelated to Kipling the bag). It’s a street food and you would often find vendors carrying these in large clear plastic bags. We first tried this during our family trip to Iligan City when we visited our cousins several years back. It was sold per piece and when you buy one, the vendor would then drizzle a dark brown sugar syrup on top for flavor before giving it to you. It’s crunchy and sweet with the syrup. I liked it actually. A serving of kiping with boiled bananas and syrup at Boy Zugba Bacolod (P150). And now, we can get a taste of Kiping here in Bacolod City. One serving is five pieces of Kiping, three pieces of boiled saba bananas, and unlimited syrup. Perfect for snacks or even dessert. 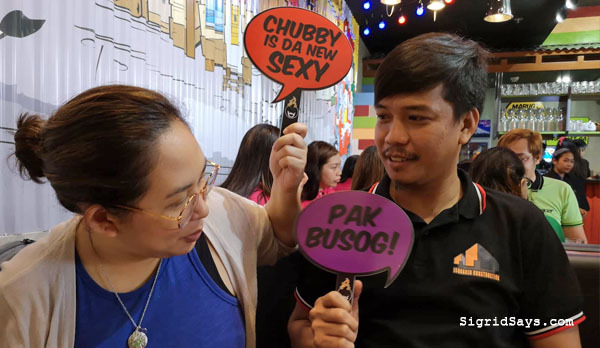 Other bestsellers include their pork barbecue (so good), liempo, and cheezzy chorizo (the spelling varies in their menu and fliers). All three may also be found in a set called the Bandihadong Karne. 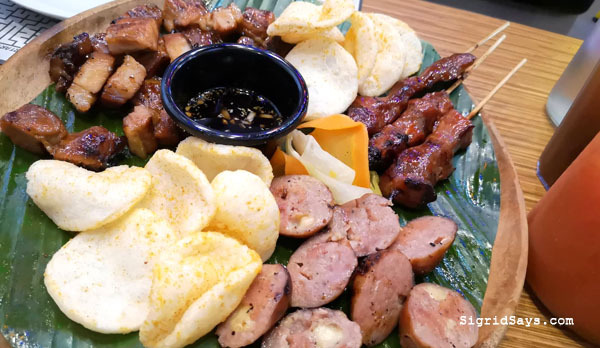 Furthermore, don’t forget the Sinuglaw de Cagayan – it’s spicy fish kinilaw (ceviche) but with slices of grilled pork, latô (seaweed), and caramelized dilis. Don’t forget to mix the ingredients before eating. 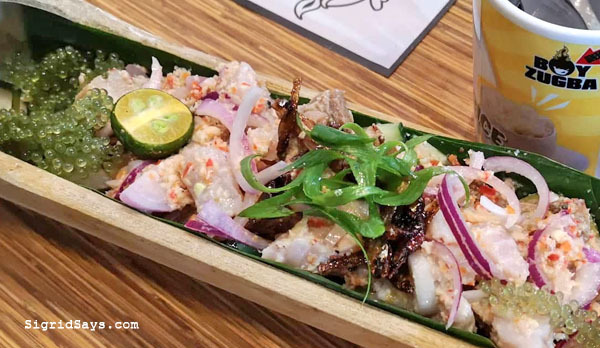 The Sinuglaw de Cagayan, which is fish kinilaw (ceviche) with slices of grilled pork, seaweed, and dilis. You may want unli-rice with your meals. You may opt to have unli-rice with your meals. I would like to come back here and also try their boodle meals. It’s a meal served on a banana leaf where the rice and all kinds of entrees and sidings are arranged beautifully on top. 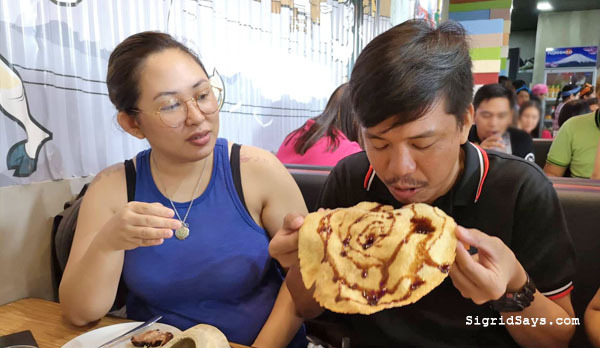 The husband and I enjoy these native Pinoy dishes in Bacolod restaurants while eating using our hands. Barbaric? Maybe, but super duper fun and satisfying. 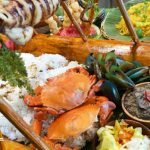 They have three kinds of boodle fight meals. These are Karne-vorous, I Sea Food, and Meat Me @ Da Sea. 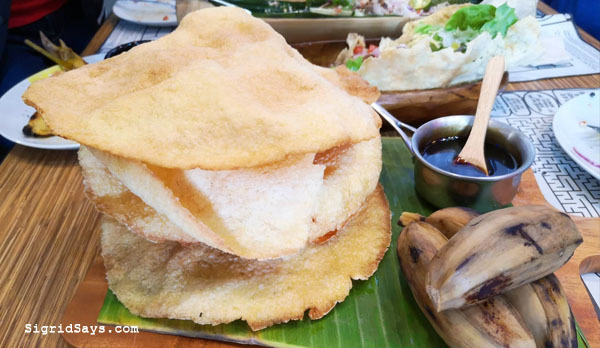 From the names, you already have an inkling what’s included in the boodle fight. Each priced differently. Cap your meals with a watermelon cooler. Boy Zugba is known for its fun and quirky restaurant. And they have brought the same flavor in their dining space here in Bacolod. One of the highlights of the place is their #hugotlines. 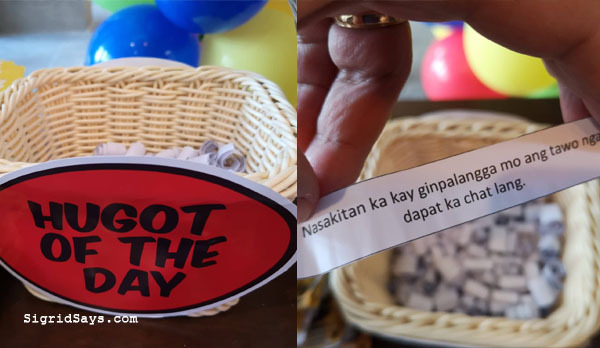 Aside from these, they have the “Hugot of the Day”, where you get to pick from a basket full of hugots. This one is in Ilonggo. So many can relate to these, which is the reason why many diners would take selfies carrying or posing in front of these thought bubbles and post them on social media. There are just so many Instagrammable areas here. 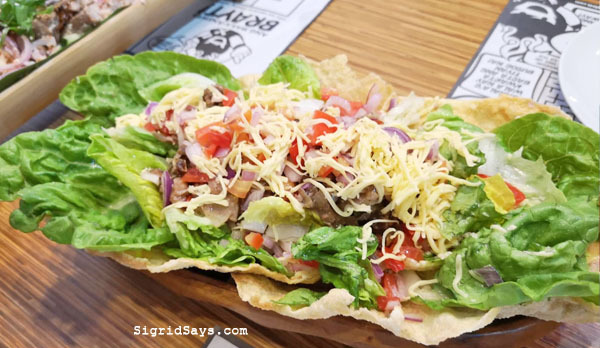 Bacolod Blogger Sigrid was invited to cover the grand opening of Boy Zugba Bacolod. I am not compensated for this restaurant feature. Every day, it’s fun and lively at Boy Zugba Bacolod. After serving during a busy meal hour, the staff would break out in dance to entertain the customers. So if you are looking for a quiet place to dine, this restaurant may not be for you. But if you are game, you will have fun here. 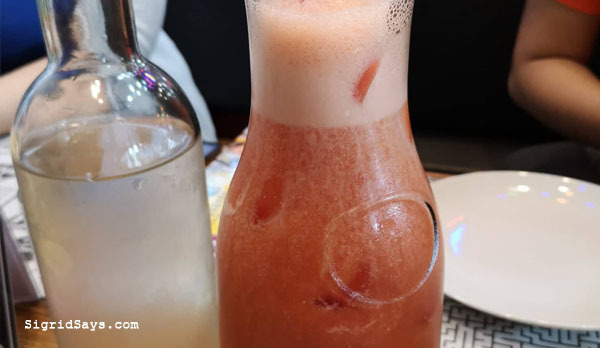 Boy Zugba Bacolod is a fun and quirky restaurant at Ayala Malls Capitol Central. 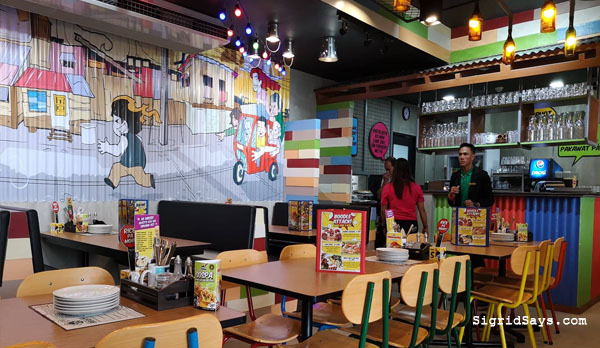 Boy Zugba Kusina Bisaya first opened in Corrales Avenue, Cagayan de Oro City only three years ago. Their niche was homecooked Kagay-anon meals served in an upbeat and modern restaurant that appeals to the young crowd. 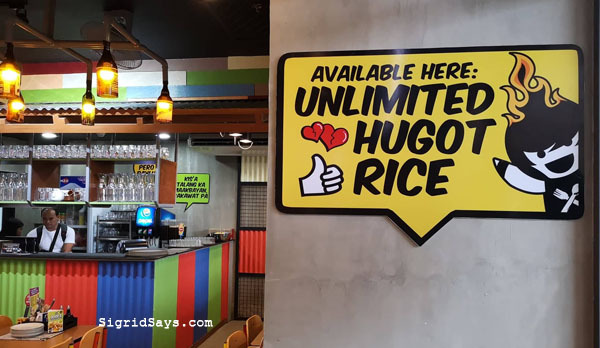 Unlimited rice na, unlimited hugot pa. They specialize in grilled food as well as simple meals often found in karinderias or those cooked at home. Visit Boy Zugba Bacolod at the 2nd floor of Ayala Malls Capitol Central. They are open during mall hours, 10am to 9pm. Plus, they also have a non-aircon dining area and it’s open until midnight.